I was getting ready to post for today and a friend shared this on her Facebook site. I fell so in love with it that it's all I wanted to share today. 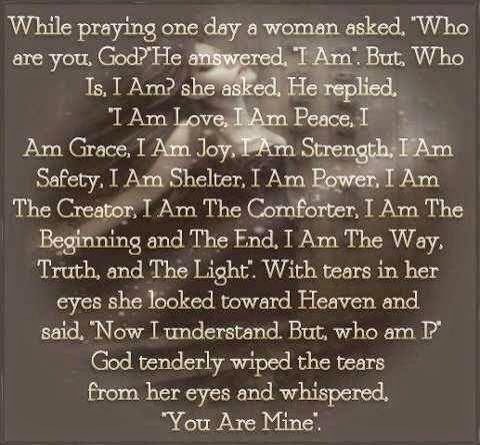 Be blessed today friends and remember Whose you are. Hi Susan, so glad I stopped by. This is beautiful!